What is LED TV Technology? Review - Worth Price Over LCD & Plasma? What is LED TV Technology? Is It Worth The Premium Price Over LCD & Plasma? Technology advances extremely quickly these days, and it’s difficult to keep up with it all. This is particularly true in the area of flat screen televisions. Before, you really only had the choice of a Plasma vs LCD TV. The debate on which is better still continues and the more recent introduction of LED TVs has further muddied the waters of this discussion. So which is best for you? Let’s review exactly what an LED TV is, and whether paying the extra money is worth it. There’s a lot of confusion surrounding the LED TV. In fact, I was very surprised to find that all consumer-grade LED television sets are actually just a different type of LCD TV. The LED TV is an improvement, no doubt, but it is essentially the same type of television as an LCD. Every LCD television requires a source to illuminate its pixels, and the type of source is what differentiates the LED TV. In a regular LCD, the light source is a series of fluorescent tubes. In an LED, the source is a series of light emitting diodes (or LEDs). There are actually two subsets to the LED category. One is called Edge Lit LED, where the LEDs are placed along the edge of the panel. The second is called a Full Array LED, where rows of LEDs are placed behind the entire panel. Which is better? That’s not an easy question to answer either. The Full Array LED sets produce the best overall picture, but the Edge Lit LED sets are the thinnest and lightest on the market. When LED TVs first came on to the scene, they came with a premium price. Some LED TV prices doubled those of an otherwise comparable standard LCD or plasma TV. Recently, there have been huge price drops in LED flat screens. Saving money on the best flat screen TV by finding LCD or plasma TV deals might be the cheapest option, but you can pick up an LED set for sometimes as little as $100 more than a comparable standard LCD or Plasma. For instance, in my search for a Samsung 40-inch TV, I found that the cheapest price for the standard LCD was $500. When I changed my search parameters to an LED set, the cheapest price I found was $633. As you can see from this example, the price differential has decreased considerably. When LED TVs first came out, their premium price told me that it would be years before I would consider one. However, with this recent price drop, the option to upgrade to an LED is now viable. When you consider this question for yourself, you need to decide what is important to you. If you’re looking for the best price, you certainly can’t go wrong with a standard LCD, or even a plasma TV. If picture quality is of greater importance, than spending an extra $150 is probably worth it. On a personal note, I’ve recently had the opportunity to check out several LED televisions. 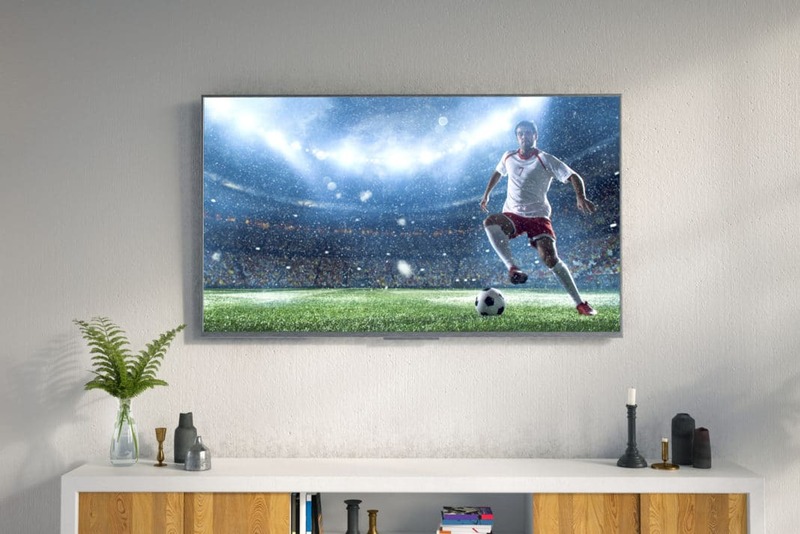 If you connect a Blu-ray DVD player to an LED television (either the edge-lit or the full array), the picture quality is absolutely out of this world. I can’t explain it other than to say it is like you are actually there watching the scene live. It’s unbelievable! I have watched entire movies in which I had no interest, just to be able to enjoy the incredible display. If picture quality is important to you, then I recommend that you invest the extra money and buy an LED TV. Make sure you have access to Blu-Ray discs and other DVD movie formats as well. Do you have any thoughts on the quality of LED TVs compared to their higher price? What would it take for you to make the upgrade? Feel free to share your thoughts below.